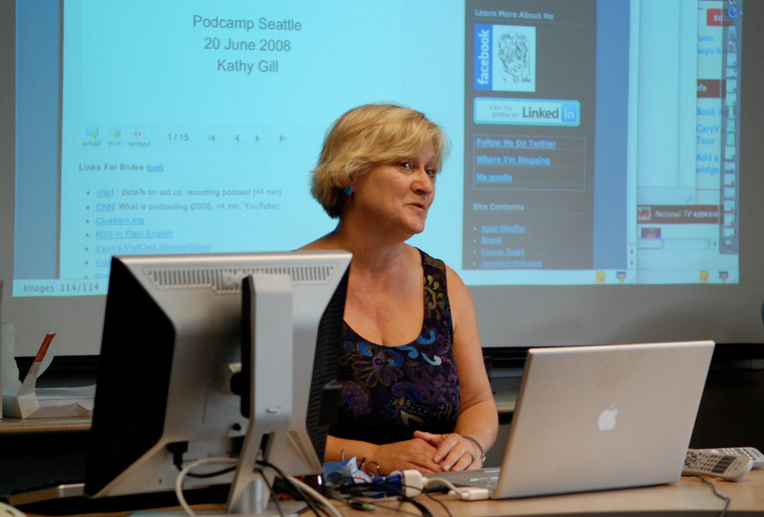 Kathy E Gill | Podcamp Seattle - Educator, WebUX, Writer. Rabble-rouser. In Seattle, unconferences were hot and podcasting was still shiny and new. In addition to helping organize the event, I gave a presentation on podcasting 101. I had given a presentation in Spain earlier in the year on using podcasts as an assessment tool, an alternative to the research paper. Co-organizer with Eric Weaver. Photo by Paul Gibson.